CHESTNUT has fancy orange swirls. His litter of 3 was rescued from Henry Street in busy Hempstead & then fostered. 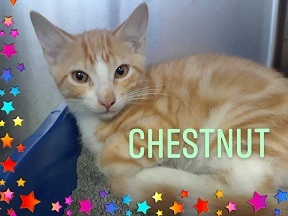 CHESTNUT is waiting to dazzle you at Last Hope in Wantagh.